Often times, work trucks are used within situations which require the complete focus of the operator to ensure the application, or job, is performed correctly, efficiently and safely. The problem with this is that with all of the operator’s focus diverted to the application, or job, zero focus is being given to the actual equipment itself. When this happens, the highest percentage of damage to the equipment occurs because focus isn’t being given to ensure that the power take-off, clutch pump or dry valve pump is operating within the set parameters or set points to engage and disengage for optimal efficiency. Operating outside of these set parameters results in damage to the power take-off, clutch pump or dry valve pump, at the very least, but can subsequently extend to the equipment as a whole. As the components are connected, damage to the power take-off, clutch pump or dry valve pump doesn’t necessarily remain contained or isolated within the single component. Failing to control or monitor the parameters of your clutch shift power take-off, clutch pump or dry valve pump can cause damage to these components, subsequent others and the hydraulic system. This ultimately results in damage to the equipment. Some potential damages resulting from a lack of controlling or monitoring of the power take-off, clutch pump or dry valve pump can include the power take-off or pump exceeding maximum speeds, over-pressurized cylinders, bent cylinder rods and accidental activation of devices not needed for example. When damage occurs due to a lack of focus and set parameters in place, it compromises the safety of the equipment, operator and those potentially within close proximity. In addition to safety concerns, the damage to the hydraulic system and its components results in truck downtime in order to replace or fix the equipment. This could be fairly extensive depending on the damage that has occurred. Consequently, the operator or owner could be looking at a high price tag to fix the equipment, which could have been avoided with a system protection device. System protection devices like Muncie Power Products’ SPD-1001, for example, control or monitor a clutch shift power take-off, clutch pump or dry valve pump to protect the entire system. The SPD-1001 protects the equipment as a whole by offering overspeed protection and limiting usage of electrically controlled systems of the power take-off, clutch pump or dry valve pump based on set parameters for efficient operation. In this way, the operator is able to focus on the job and rest assured that the power take-off, clutch pump or dry valve pump is being controlled by the device to protect the equipment. This also promotes greater safety for the operator and those within close proximity of the equipment. The SPD-1001 system protection device offers overspeed protection of a clutch shift power take-off, clutch pump or dry valve pump by limiting the maximum high-speed engagement of the PTO or pump to protect the clutches. Muncie Power’s device also has the ability to serve as an interface for a wide range of interlock devices and can limit usage of electrically controlled systems based upon interlocks such as truck speed, engine RPM, outrigger position, brake activation, etc. This includes input of the truck speedometer signal with the SPD-1001 so that a PTO, clutch pump or dry valve pump is automatically disengaged should the vehicle exceed the set MPH limit. The SPD-1001 can limit the highest operating speed of the equipment to protect system components like PTOs, pumps, cylinders, etc. or establish a maximum hydraulic flow as well. Muncie Power’s SPD-1001 features designs for 12- or 24-volt systems with less than a five amp circuit and 12-volt-high and 24-volt-high amp systems greater than five amp. Muncie Power Products recommends using the R terminal, or Relay, on the alternator as the source of input opposed to the pulse generator as it is the most reliable. This device comes equipped with a programmable microprocessor. Before using the SPD-1001 system protection device determine how the device will be used, as it will impact the installation, programming and operation. 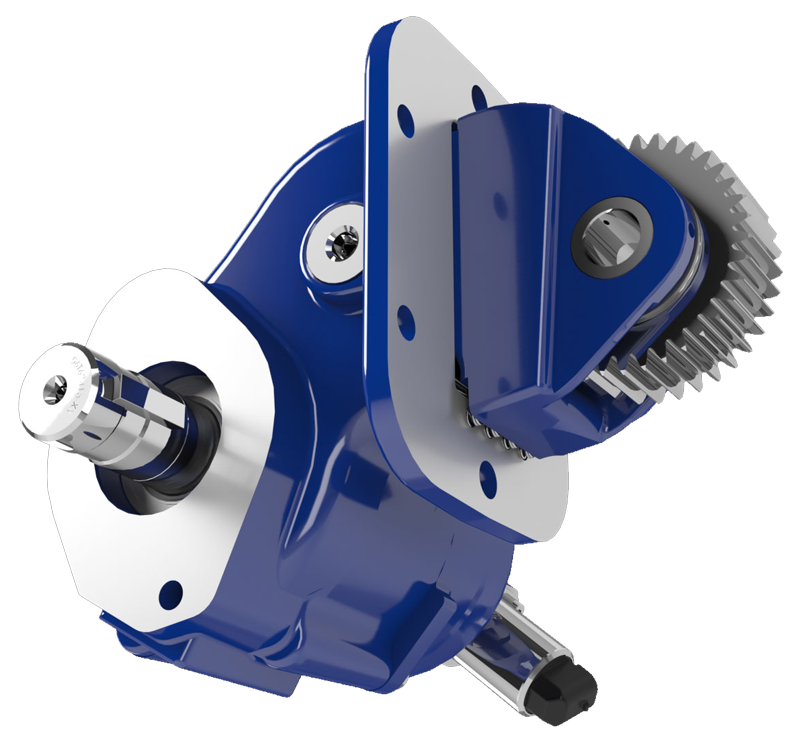 While virtually any piece of equipment operated via a clutch shifted power take-off or incorporating the electrical activation of a piece of equipment can use Muncie Power’s SPD-1001 system protection device, the SPD-1001 is designed for use with clutch shift PTOs, clutch pumps and dry valve pumps only. Note: Mechanical power take-offs designed with an electrical activation option cannot be used with the overspeed protection device. The SPD-1001 is popular for truck and fleet owners/managers because the device allows for the engage and disengage set points of the power take-off, clutch pump or dry valve pump to be inputted. With the system’s design, it’s tamper resistant. This means it’s resistant to operator alteration so that the window of efficient operation (range between engage and disengage set points) cannot be changed in an effort to get work done faster, etc. and potentially cause damage. *Switches not included with unit.